I’m a big fan of bananas. Typically they’ll end up as a base for a sundae or sliced up and added to a piece of toast topped with Nutella. Of course, I always mange to let a few from every bunch I get over-ripen so they can be used to make the perfect banana bread. This past weekend I decided to try something new and baked up some lightly sweetened slices and ended up with a delightful afternoon snack. With crispy edges and a slightly soft middle, these tasty rounds can quickly become an addiction. See for yourself. 1. Preheat oven to 400°F. Line a baking sheet with parchment paper and place a wire rack on top; set aside. 2. 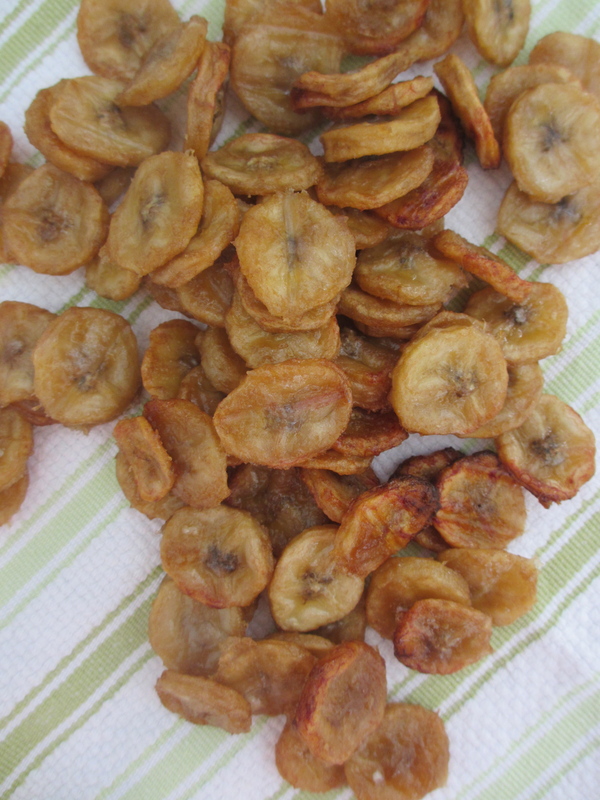 In a medium bowl, combine bananas, butter, salt and brown sugar. Toss to coat. 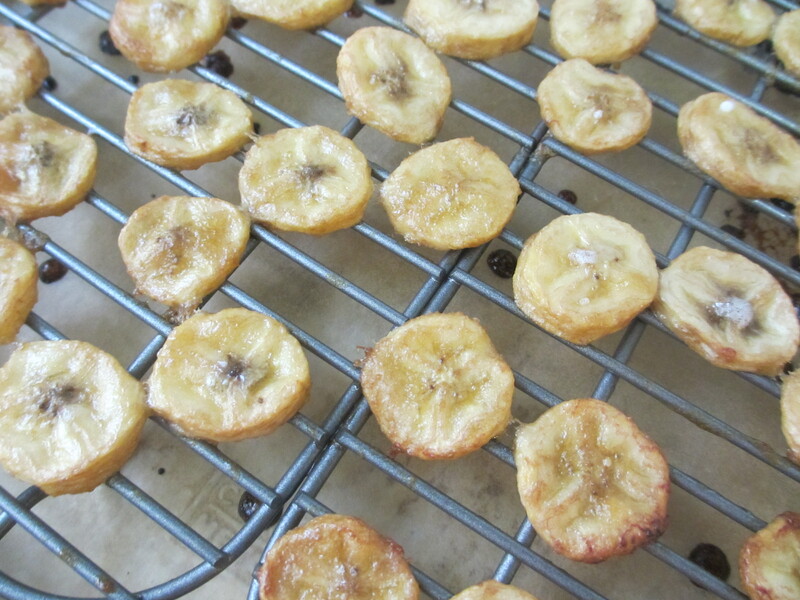 Spread banana slices in an even layer on the wire rack over the prepared baking sheet. Bake for 25 to 30 minutes or until browned and crisp on the edges (cooking times may vary based on how thick your slices are). Let cool completely, then transfer to an airtight container for storage. SWWU Tip 1: These chips will crisp up a bit more as they cool. Be sure they are room temperature before storing to prevent them from becoming soggy. They’re best if eaten within a day or two of baking and taste especially good within a few hours of coming out of the oven. SWWU Tip 2: These taste great on top of ice cream, yogurt or on their own. Enjoy!